Poetic prose underscores the central plotline of a musician attempting to make it big. Poet Robert Frost claims that taking the road less traveled makes all the difference. 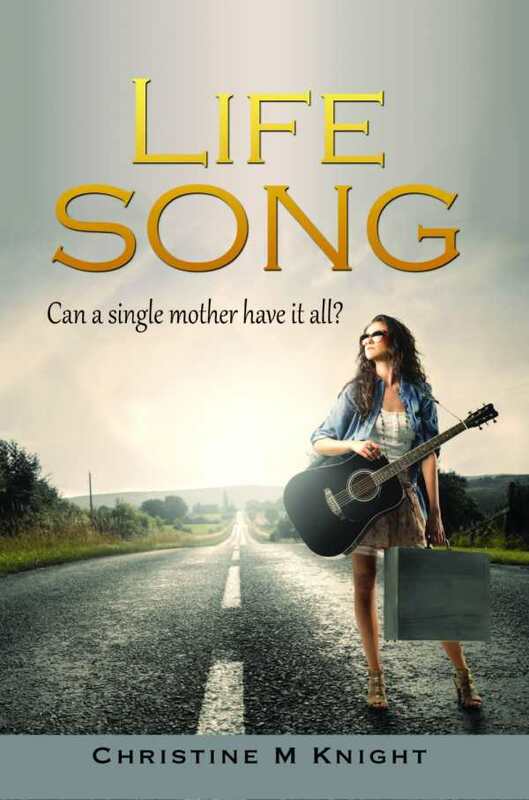 Aussie Mavis Mills, the single-mom protagonist of Christine M. Knight’s novel, Life Song, wonders if she can successfully juggle her personal dreams and family life as she chases musical stardom. The book explores themes of staying true to oneself and reconciling with one’s past. Already an accomplished poet, short story writer, and musician, the author deftly creates a relatable character in Mavis while introducing the uninitiated to the music industry through universal dilemmas. Mavis—possessing a voice “as distinctive as a fingerprint,” with a life in which her six-year-old son Dan represents “the picture,” and she “the frame”—finds her day job “like a single sung syllable…without the benefit of intervening lyrics,” as her music career begins to take flight. With these ingenious turns of phrase, the author creates a well-rounded main character to root for. Such poetic phrasing also underscores the central plotline of a musician attempting to make it big and the hurdles, both internal and external, that she must overcome along the way. The novel’s lyrical styling mirrors the ups and downs of life in a way that makes readers invest in Mavis’s success and mistakes. Her parents, Marg and Trevor; Dan’s godfather, Gary; and Mavis’s friend Kate also emerge as multifaceted players. Mavis has layered conflicts with each of them, as well as several issues with tertiary characters, making her life seem as complicated as a flesh-and-blood person’s. Although many men grace her life, and she feels attraction to some of them during the story, Mavis falling in love refreshingly does not represent an important step in her trajectory. Knight creates a novel where a woman finds her destiny with the support of men, not in the arms of a man. Indeed, her friendship with Gary disproves the notion that men and women can’t be friends. Clichés would dictate that when Gary falls for other women, Mavis becomes jealous and realizes her attraction to him. Fortunately, that doesn’t happen here. Mavis remains a rare woman character who has male and female friends. The novel’s numerous characters also represent a weakness, though, as there are too many of them. Sometimes it feels as if Knight shoehorns in characters just to underscore a point. For example, Mavis is adamant that Dan will never know his abusive father. It just so happens that the teen daughter of the single-mom drummer in Mavis’s band wants to meet her father. Some of the male bandmates’ attraction to Mavis, while realistic, never seems to amount to much, because Knight describes their feelings mainly in summary paragraphs. Perhaps most distressing, Dan never comes across as a full-fledged character because he has comparatively little direct dialogue and is described mainly through summary as well. Despite an overpopulated, underdeveloped cast, Mavis rises above it all and becomes a person in which audiences can see themselves. Mavis has very human conflicts with family and friends, emerging from the situations strong and determined. Anyone who enjoys triumphs of the plucky underdogs or has knowledge of the music industry will like this novel.